Cost: Tablets are much more expensive than laptops. Students with a tight budget will be able to afford a high end laptop for similar price as a general tablet. 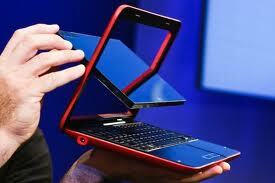 Typing: Tablet PCs are not designed for excessive typing. Most tablets do come with a keyboard extension but if typing will be an everyday necessity then laptop is the best bet. Applications: Since Windows is still the dominating operating system, students will find it more convenient to work with rather than apps running in Android or Apple OS. Desk Friendly: Laptops are easily placed on a desk and the screen faces the students. Tablets are difficult to maneuver and need to be held upright in order to view the screen, thus making them difficult to work with. Performance: Laptops come in various dual core speeds which are much faster than most Tablets out there. So, if speed is important then laptop is the way to go. Yes, it is good for them to use laptops. If everything is advanced, students do not concentrate in their studies.